Charlie is a co-founder of Bruz and is the architect of our portfolio of fine Belgian-style beers. Charlie started his brewing journey as a homebrewer – a pursuit he began in the late Eighties as a result of his travels to Belgium. In those days, Belgian beers were hard to come by in the U.S. and craft breweries were still in their infancy. But after tasting his brother John’s homebrew, Charlie realized that “if you can’t buy it, brew it yourself.” So, he set out to teach himself how to make Belgian-style beers at home. After 27 years and more than a hundred competition medals – including two AHA Homebrewer of the Year awards – Charlie was ready to scale it up a bit. 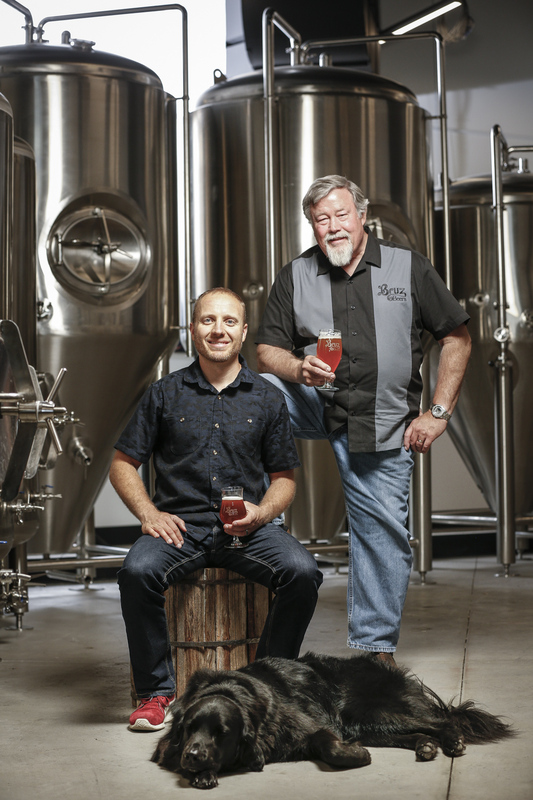 He has brewed at a number of commercial breweries and is the head brewer at Bruz. He has taught brewing and beer styles at several community colleges, has spoken publicly at beer conferences and events, and is a nationally recognized beer judge. Ryan is a co-founder of Bruz and is responsible for brewery operations. A Colorado native, Ryan has an MBA from the University of Denver and has extensive business experience - having held executive positions in several industries. Also a homebrewer, Ryan discovered Belgian beer while backpacking through Europe and couldn’t get them out of his mind. He returned from his travels with a thirst for Belgian beer and a love for Belgian culture. An avid outdoor sports enthusiast, Ryan has climbed nearly all of Colorado’s “fourteeners” and is a lover of hiking, camping and backcountry skiing. He has climbed Mount Kilimanjaro in Africa, adding it to the list of famous mountains he has summited. Having been on Denali three times, he says he still has another trip up that amazing mountain in him! The Bruz Crew is dedicated to providing you with the freshest, highest-quality Belgian-style beers in Colorado. Come by and join us for some great beer!